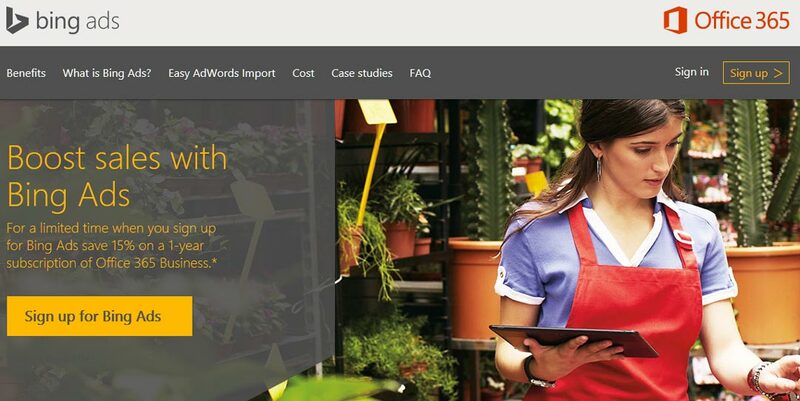 For those of you that are not familiar with Bing Ads, it is Microsoft and Yahoo’s alternative platform to the more popular and well-known Google AdWords. This partnership between Microsoft and Yahoo was formed in order to compete with Google. It also provides advertisers with one platform through which they can place ads on both the Bing and Yahoo search engine results pages (SERP). Many advertisers will go the easy route and stick with the bigger and more well-known Google AdWords for their paid search marketing, often ignoring Bing Ads altogether. However, at Zion & Zion, we make it part of our digital strategy and almost always allocate a portion of our clients’ budgets to Bing Ads in order to compare results. ComScore recently released new statistics showing that together, Bing and Yahoo have a 32.8% share of all search traffic on desktops in the US. This is nearly one third of all searches performed via desktop and can be a new source of impressions for advertisers. While these statistics do not include mobile search traffic which is heavily dominated by Google, Bing Ads tends to get about 1/5 of the impressions that you get on AdWords. Without Bing Ads, you are essentially missing out on a huge opportunity to reach new people and grow your business. One of the big advantages to Bing Ads is that not everyone using AdWords has caught on to the fact that Bing Ads is an additional option. What this means to you is cheaper cost per clicks (CPC) and a higher click through rate (CTR). Based on my experience, I have seen cost per click be as low as 65% cheaper in Bing Ads than it is in Google AdWords, but on average, Bing is about 33% cheaper for the average cost per click. I have also seen click through rates be, in some cases, twice as much. Since your campaigns in Bing Ads tend to be more efficient by getting higher click through rates with lower cost per click, this will normally translate to better ROI. If you are solely looking for volume, then AdWords may be a better option. However through Bing, I’ve seen great results when it comes to getting the most out of every dollar spent. One of the best updates Bing has made in the past year is the ability to import your AdWords campaign directly into Bing Ads. With a few clicks of your mouse in the Bing Ads editor, your AdWords account can be imported right into Bing Ads, making the initial startup very quick. You first need to create a Bing Ads account by going to advertise.bingads.microsoft.com. After signing up and setting up your account, Bing Ads will give you the option to directly import your Google account. If you already have an account and have not yet setup your campaigns, you can sign in to Bing Ads and click on Import Campaigns on the navigation bar. Then click on Import from Google AdWords. Follow the directions by entering in your Google AdWords credentials. Once you do this, you will then be able to import all, or selected, campaigns that you have in AdWords directly into Bing Ads. I personally like to create the account in Bing Ads and then go into Bing Ads Editor to import the account and campaigns. Bing Ads editor, like AdWords editor, allows you to make changes offline before setting them live. This gives you the ability to make any changes or updates to the tracking urls or add and/or remove anything from the campaigns before setting the campaigns live. Last year, Google AdWords required all accounts to use close variants for phrase and exact match keywords. This caused your ads to show for keywords that Google may have considered close matches, but may not be keywords you want to show for. This may make your ad less relevant for those searches and may also result in spending money on clicks that can turn into a bounce if the search is not relevant. Bing Ads on the other hand still allows you to exclude these close variant keywords. Do this by clicking on the settings tab, then going to the advanced settings, and finally keyword matching options. Much like AdWords, Bing Ads also has search partners that are included in the Bing and Yahoo search partnership. There is one particular search partner that has grown very rapidly in the last few years. This search engine is called DuckDuckGo and is differentiating themselves by keeping users’ information anonymous and not storing search history. DuckDuckGo has continued to have growth in search queries every month this year. 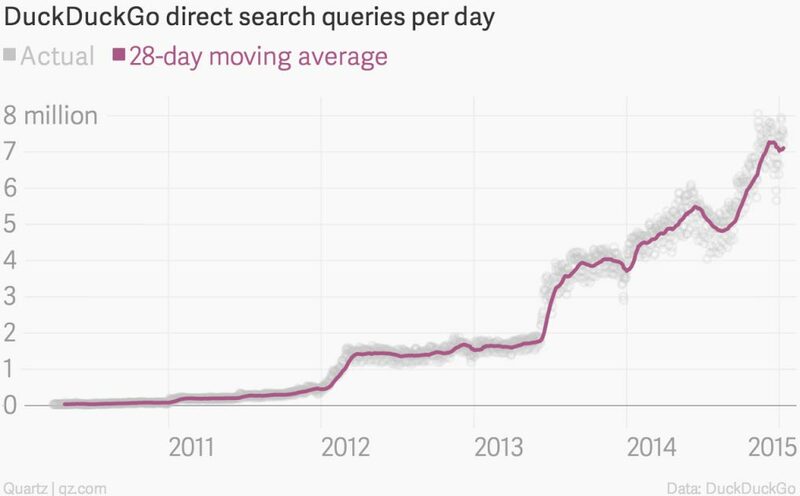 On June 22, 2015, DuckDuckGo announced that they have surpassed the ten million daily query mark. One cool function that Bing Ads has that AdWords has not yet adopted is the ability to use demographic targeting on search ads. Similar to how you can target age and gender for display advertising, Bing Ads allows you to target specifically to your audience. Another added bonus to this level of targeting is the ability to use bid adjustments to change your bids per audience. So if women are twenty percent more likely to convert than men, you can use this data to either increase your bids for women, decrease your bids for men, or a combination of the two depending on your goals. 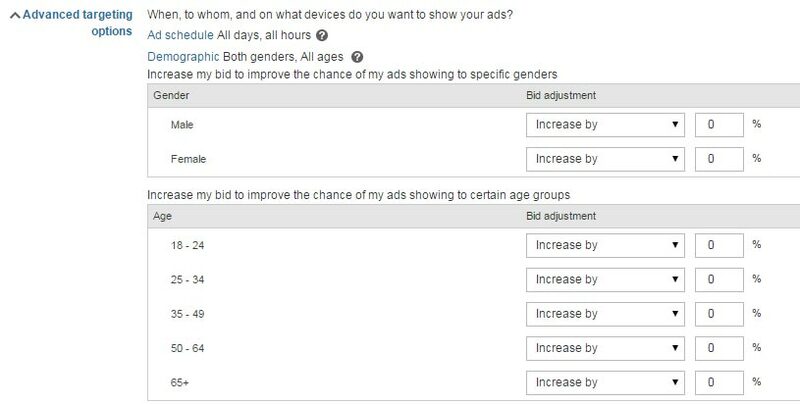 If you want to activate specific targeting and/or bid adjustments, just go into the settings tab of your campaigns and under targeting options you will find demographic targeting. In early June, Bing Ads launched automated rules for managing your account and campaigns. For those of you who are not familiar with automated rules, they let you make changes automatically based on rules and conditions you set up in your account. You can change your status, budget, bids, and more. Automated rules can be a huge time saver in managing your accounts so if set up correctly, they can help lower the extra management time that would be needed for launching your new campaigns in a new platform. Depending on your business, Bing Ads might reach your targeted demographic better than Google. The people using Bing tend to be older than Google users—in fact, they are more likely to be older than 35 years old. Older demos tend to have higher household income levels. Users of Bing and Yahoo tend to have more children in household. With an older demographic, Bing and Yahoo searchers also tend to be less techy. Depending on your business, this can work in your favor and can actually be a benefit to your campaigns. At Zion & Zion, we understand the importance of integrating Bing Ads into our clients’ online marketing strategies. After reading this article, we hope you do too.